Get in on the fun this summer and try out these exciting water sports! Whether it’s the challenge you’re seeking or an updated workout, these action-packed water sports will leave you toned, tanned and happy! Surfing is one of the most popular water sports out there, it’s also seen as one of the most complex and intimidating sports to get into – until now! Thanks to the recent introduction of the foam surfboard, the surfing world has seen hordes of newcomers flocking to the game. Otherwise known as a “foamie”, the foam surfboard is designed for beginners and is softer and steadier in water so you can be sure to get the hang of it quicker! Surfing promises a great core and leg muscle workout and breathtaking views to exhilarate and awaken the senses. Enrol yourself (and maybe some friends?) in a beginners training course to learn the basics before you grab your surfboard and hit the waves. 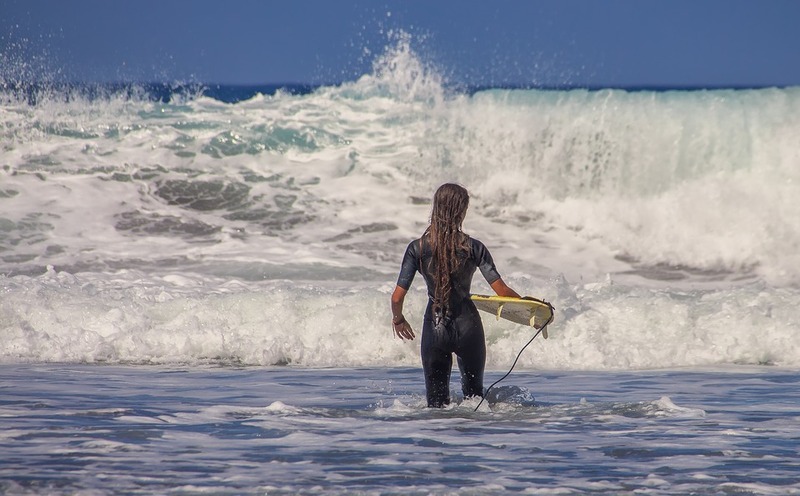 Your local surf school will teach you everything you need to know about picking the right board, catching the perfect wave and navigating surfer slang! Driven by the power of the wind, kite surfers skim the edge of the water and are pulled forward as they surf the water at the speed of the wind picking them. The surfer holds on to the handle of the kite and uses it to direct himself and lift himself off the water to perform flips and jumps before landing swiftly on the water’s surface. 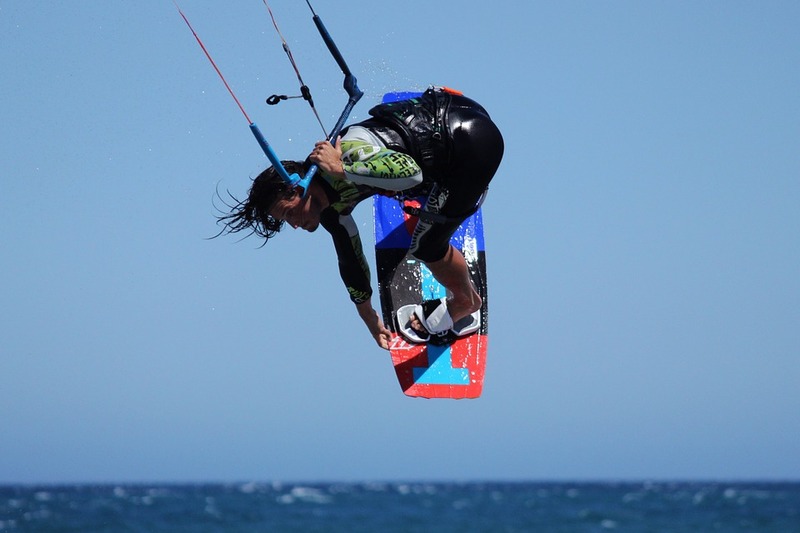 Great for a core workout and suitable for all ages, kite surfing is one of the fastest growing extreme water sports. Mostly, you’ll need the right gear to begin and a qualified kiteboarding instructor – not to forget optimum weather conditions! 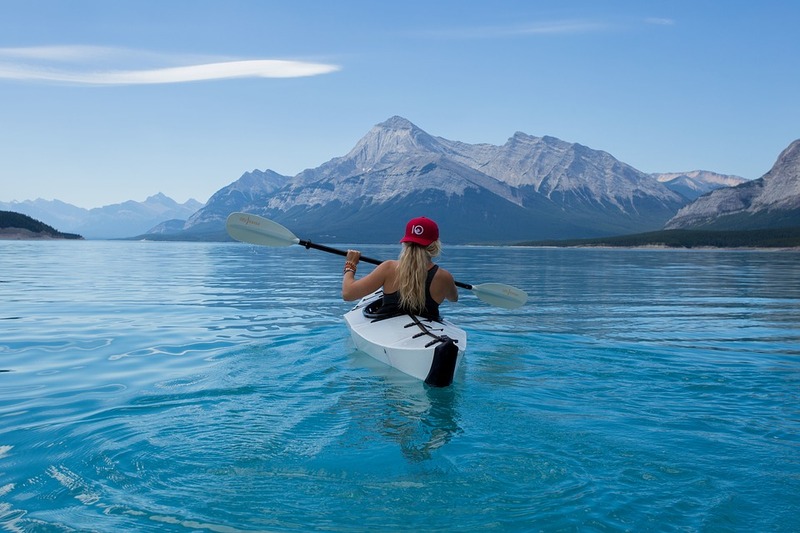 Whether you’re looking to compete professionally or just want to take in some views, kayaking can be a relaxed, peaceful way to exercise or the perfect social activity for the whole family. Suitable for the beach, dam or lake, kayaking is a versatile sport and can be practised solo or in groups. Sometimes confused with canoeing, it can be identified by the double-bladed paddle used to propel the kayak forward. You’ll want to consult a professional before purchasing your paddle as there are many factors to consider. Your height, paddling style and width of the boat will determine the best paddle for you. All-in-all kayaking gear is minimal, it’s a straightforward sport with accessories designed for safety. You won’t need more than a wetsuit, buoyancy aid, helmet, paddle and the kayak itself! Take the plunge and discover a beautiful world underwater! You will need to attend a course on diving to learn the correct diving techniques, tips, safety precautions and how to use the equipment. This sport is abundant in its benefits, and just one of them is the ability to take this skill all over the world and discover magnificent coral reefs and marine life as part of your travels. The equipment can be pricey and ranges from wetsuits to diving masks, underwater cameras and diving gauges. As a diver you belong to a community of scuba divers all over the world who share their experiences and underwater adventures. Water skiing is practised in many parts of the world and involves an individual being pulled (usually) by a motorboat while standing on one or two skis over a body of water. It can be practised competitively or for leisure and is suitable for adults and children (with the correct gear). Expect an adrenaline hike and full-body toning if you’re planning on learning (and sticking to) this sport! Water skiing typically involves at least 3 people, a skier, a driver and a spotter to inform the driver if the skier has fallen. It’s sure to provide hours of fun and lots of thrills, but just like most water sports, there is some equipment required. It’s recommended you consult a professional to help you pick suitable water skis and teach you the basic technique. You may need to enrol in a training course first to get you started and informed. There’s a variety of water sports you can learn this summer that will challenge, excite and enthral you. Prepare for your best summer yet and let water sport introduce you to a fitter, healthier, happier you.